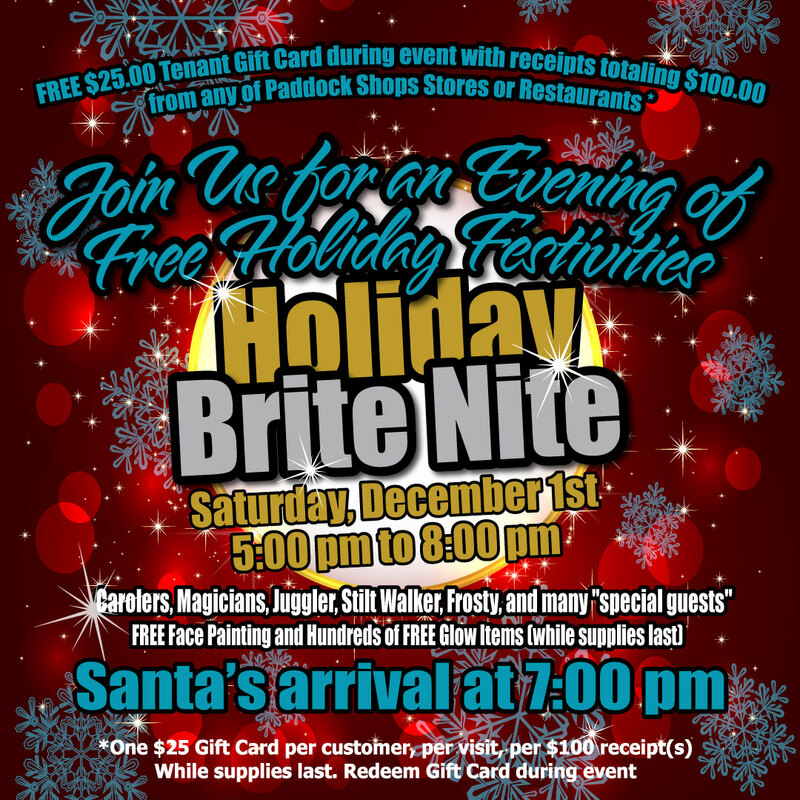 Join us at Paddock Shops on Saturday, December 1st for our 6th Annual Brite Nite from 5:00 pm to 8:00 pm. There will be Carolers, Magicians, Juggler, Stilt Walker, and many more “Special Guests”. And, to add to the festivities, Free Face Painting for children and hundreds of free Glow Items (while supplies last). Santa’s Arrival is at 7:00 pm. Also, while supplies last on December 1st, one free $25 Paddock Shops Tenant Gift Card with every $100 in receipt(s). One Gift Card per customer per receipt.